In today's hyper connected world, reliable access to network resources is critical to all businesses. However, you also need to invest wisely to stay competitive, knowing how to separate the essential from the extraneous and get the most value for your money. For investment in network infrastructure, building a solid foundation for your business is essential, but it doesn’t mean you need the most advanced feature set on the market. With a Cisco SG250-50P Smart Switch, you can achieve business-class network performance and security without paying for advanced network management features that you will not use. When you need a reliable solution to share online resources and connect computers, phones, and wireless access points, but low cost is a top priority, Cisco 250 Series Smart Switches provide the ideal solution. 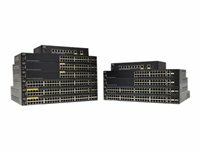 The Cisco SG250-50P, part of the 250 series, is the next generation of affordable smart switches that combine powerful network performance and reliability with the essential network management features you need for a solid business network. These expandable Gigabit Ethernet switches provide basic management, security, and quality-of-service (QoS) features beyond those of an unmanaged or consumer-grade switch, at a lower cost than managed switches. And with an easy-to-use web user interface andAuto Smartports, you can deploy and configure a complete business network in minutes. The Cisco SG250-50P switch simplifies the deployment of IP telephony, wireless, video surveillance, and other solutions by allowing you to send data and power to network endpoints over the single network cable, eliminating the need for separate power supplies or outlets. PoE+ provides up to 30W of power per port, enabling deployments for 802.11ac wireless access points, Pan-Tilt-Zoom (PTZ) IP cameras, videophones, and thin client devices, delivering more flexibility and investment protection. 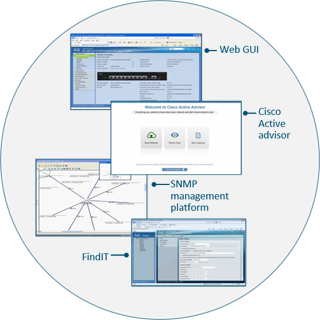 Cisco's intuitive, browser-based user interface is now even more user-friendly, with simple mode and a configuration wizard for common configurations. The switches also come with a USB port for easier file management. 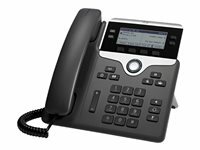 The 250 Series is designed and tested to deliver the high performance and reliability you would expect from Cisco switches, so you can enjoy speedy file transfers and keep vital business applications available. Rich energy-saving features are embedded across the portfolio, including energy-detect, cable length detection, and Energy Efficient Ethernet (EEE). All these provide an eco-friendly and cost-effective solution without compromising performance. All switches come with a limited lifetime warranty and include one year of technical support and free software fixes for the term of the warranty.